One of our best sellers! We’ve combined white balsamic with the fresh flavor of a ripe, summertime peach to create this very light, crisp infused balsamic. 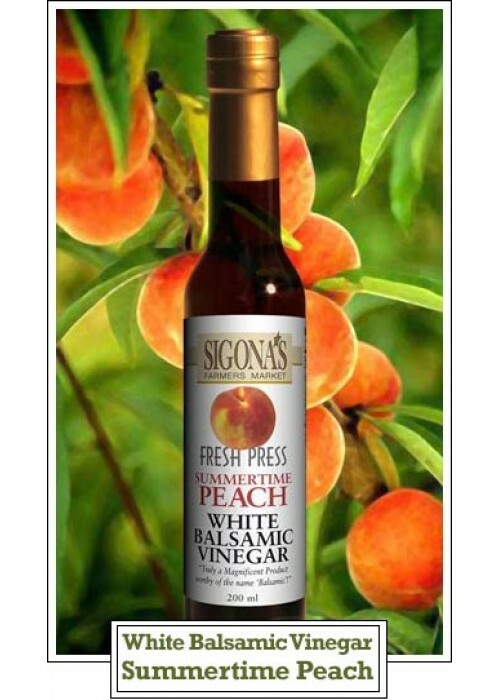 This pairs well with fruity olive oils for a shrimp marinade or for a vinaigrette. Made with white Trebbiano grape must, our white balsamic does undergo the cooking and barrel aging process of Balsamic Vinegar of Modena, but is not caramelized. Therefore it retains its white color.